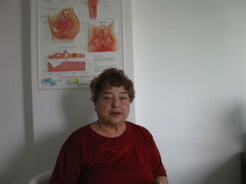 I have suffered from urinary incontinence for 2 years. Sometimes an involuntary urine leakage happened most often when I was moving. I was diagnosticated by d-r Bancheva. After a short operation I went back home the same day. It was not necessary to keep some strict rules in my day activities. The result is amazing. I did not expected that I will overcome such a disturbing condition so easy. I am very thankful to the Hill clinic team for their efficiency and care.